Saint Peter's Church in Barton-upon-Humber can be dated back to the late tenth century and is among one of the most important historic buildings in Northern England. The structure combines an Anglo-Saxon tower and baptistery, with a high medieval nave and chancel all including a wide range of architectural styles. Saint Peter's church is in the care of English Heritage who took over the building in 1978 and carried out a detailed excavation between 1978 and 1984. On both visits to St. Peters, a single day's scanning was all that we required to compile the data we needed. 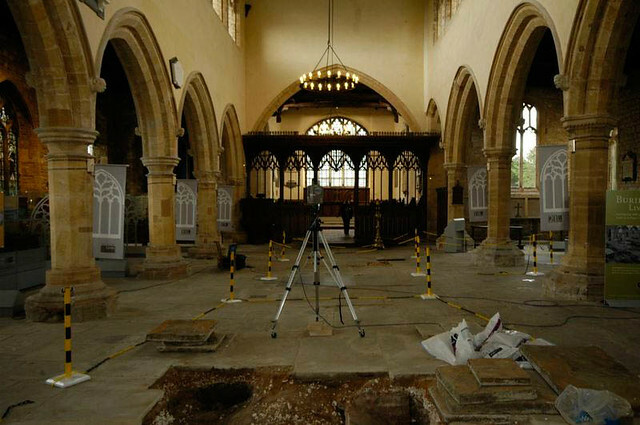 As there was uncertainty on the long term stability of the building, survey references were placed outside the church on separate structures to minimise movement. These could also be used if an external survey was required in the future. 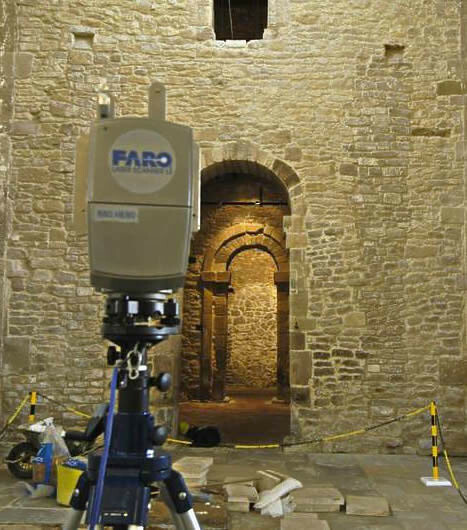 The FARO LS 880 laser scanner was used to capture the points, the separate scans were tied together using references gathered by our Total Station. 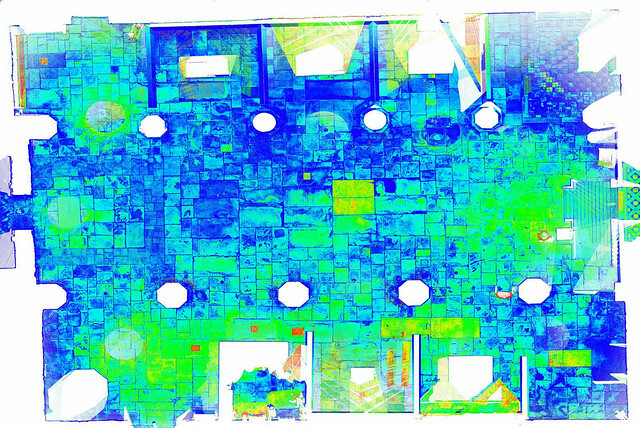 The 2007 survey was used to create a detailed flagstone CAD drawing of the floor, elevations of the interior walls and reference data for the creation of photogrammetry models. Sections were taken through key points in the building to show the change in level of the floor along the length of the building. In 2008, the new survey data was aligned to the previous years data and a comparison drawing made of the relative levels, highlighting any subsidence. Height data for all of the 1600 flagstones in the main area of the church was processed, giving a very detailed survey of the relative movement of the floor over time.